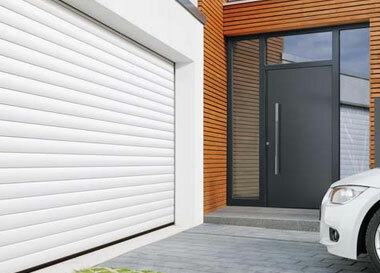 The Hormann Rollmatic is an aluminium, insulated roller shutter garage door. 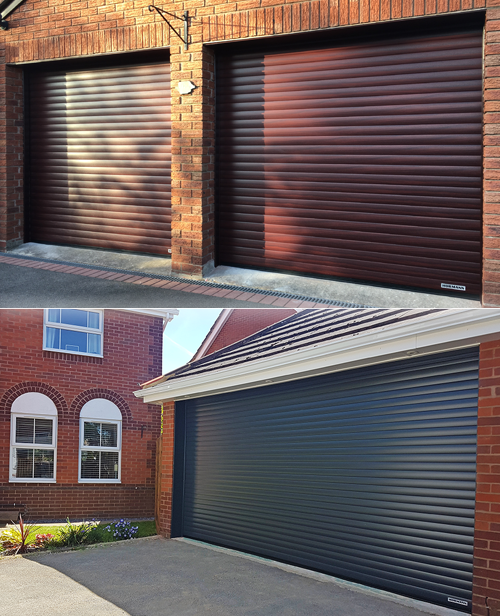 Constructed from the highest quality, double-skinned, aluminium foam-filled slats to produce a very strong, smooth finish curtain, the Rollmatic is always purpose made to suit the garage opening perfectly. It is remote control and electronically operated as standard, with control of the door using any of current Hormann control accessories. 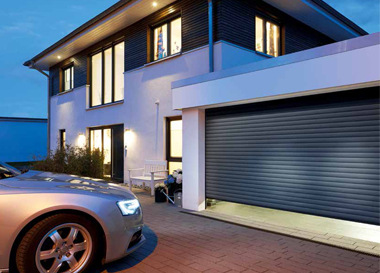 The RollMatic garage door from Hörmann provides plenty of space in front of and inside the garage; you can drive directly up to the door for parking, whilst the ceiling area of the garage remains clear and available.Constructed with high quality, corrosion-free aluminium, the RollMatic door profile is equipped with modern Hörmann operator technology as standard. High quality, double-skinned, aluminium slats provide strength and style, as well as insulation as a result of the foam filled slats. Appearance-wise, the Rollmatic's slat is unique due to its entirely smooth finish, creating an entirely sleek and contemporary aesthetic. The Hormann RollMatic has been designed from the outset using the tried and tested technology of the existing Hormann low voltage 24V DC motor from their highly successful electric garage door operators. All the Hormann accessories for control in the standard garage door operator range including all transmitters, finger readers, card readers, timers and many others. Standard operation has two remote control handsets and an internal pushbutton on the control panel with an integrated light. The external motor drive means easier servicing and an easier emergency manual override system. Driving the roller door from the left hand side via a gear drive with tension spring balance on the other side means that the balance of the door is perfect. Manual override in a power failure is a simple pull-cord release, allowing you to open and close the door effortlessly rather than using a winding handle system. This is the simplest and easiest override system for a roller door of this type. 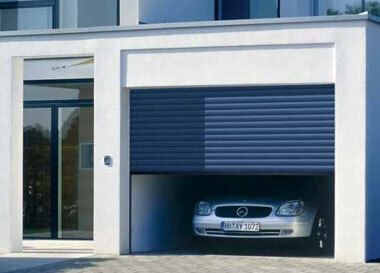 The safety edge bottom sensor that is required for all other types of tube motor driven roller shutters is not required in a Hormann Rollmatic as it uses the same technology for detecting an obstruction that is used in their garage door operators, and is far more reliable long term. It is also worth pointing out, as we do in other areas of this website, that an infra red beam is not a sufficient safety device on its own to comply with the regulations in the UK, and many roller doors being sold with these devices are 'illegal'. The short video below shows the unique benefits of a Rollmatic garage door. Bring your door to life with a splash of colour! The Hormann Rollmatic is supplied in Traffic White RAL 9016 as standard, however the following 11 colours are available at a surcharge. The most recent innovation has to be the Decograin finishes - these are attractive laminate foils applied to the outside face of the door curtain to simulate different attractive wood finishes. 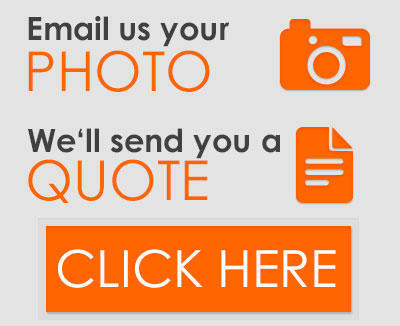 These are very effective and come with a 10 year guarantee. Two main woodgrain finishes are offered - Golden Oak and Rosewood, perfect for matching modern Upvc window and entrance door finishes. The Decopaint surface finishes Golden Oak and Rosewood are affordable alternatives to Decograin decors. The interior and exterior of the profiles are painted to look like timber. Frame, side guides, fascia panels and shaft covers are powder-coated in a base colour matching the timber to create a harmonious appearance. Glazed sections are also available with the Horman RollMatic. These sections are normally positioned above eye level for light, but there are no comprimises made on security from people seeing the inside of the garage. The Rollmatic is supplied in any size required, from 1900mm wide up to 5000mm wide (plus guides), and 1900mm high up to 3000mm high (restricted at 3500mm wide). The door can be installed behind, in-between or outside any structural opening and, as mentioned above, the guides and fascia will always be the same finish as the chosen door finish. The door is ordered using the daylight opening size as the order measurements unlike most other roller garage doors. This means you have to add the width of the 110mm guides either side and the roller hood dimensions to the ordering dimensions when calculating your dimensions overall. e.g. Order width 2250mm gives you a roller door with an overall width of 2450mm (2250 + 110mm + 110mm). If you're interested in the Hormann Rollmatic, don't hesitate in speaking to our expert team for further information!